The Grace Darling Hotel has been married to the city of Melbourne since the 19th century. Established in 1854, she has watched the town grow by leaps and bounds and has evolved right along with it. Today, it’s a thoroughly modern pub with a sophisticated menu, an extensive and urbane selection of drinks at its candlelit bar, and a seemingly never-ending flow of amazing indie rock bands who perform at the venue nearly every day. 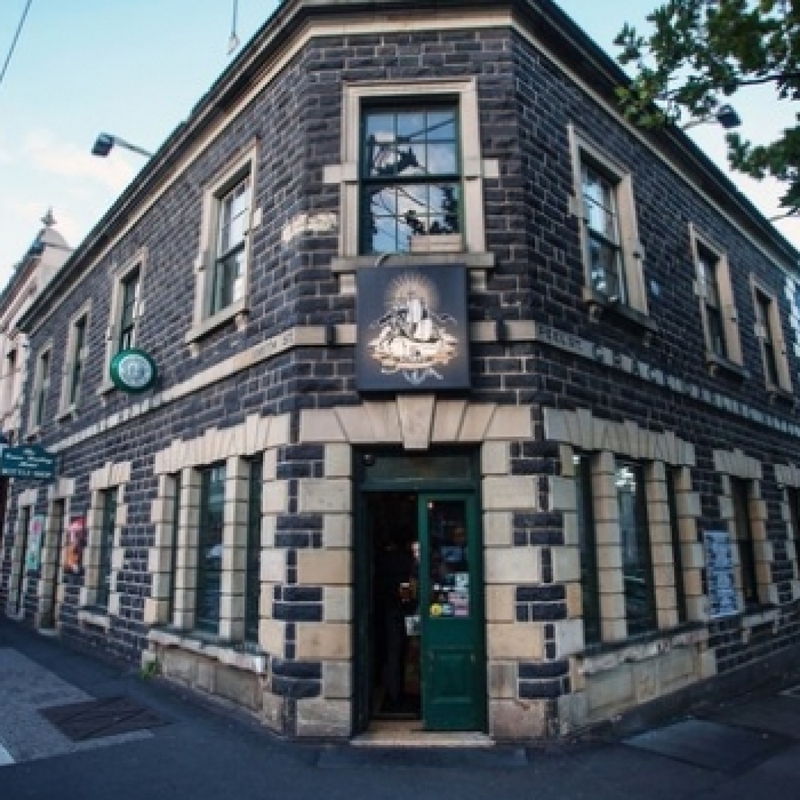 The Grace Darling Hotel carefully curates the gigs at their establishment. They have as their goal the promotion of innovation and originality in live music acts. This effort has resulted in them featuring artists such as Jack Ladder, experimental punk rock group Ångst Fest, and The Sea Birds, among others. The venue is comprised of the main restaurant and bar, and two band rooms. The Grace Darling Hotel also utilises the sidewalk which it has converted into a unique beer garden. The bar is stocked with the same care as the musical line up. It features 12 local craft beers on tap along with seasonal cocktails. The wine list is carefully built with a selection of boutique labels from across the state. Happy hours take place on weekdays where you can snag $3.50 pots and $7 pints of beer or cider. The lunch and dinner menu is a work of art in itself. It reinterprets traditional pub fare using sustainable and local produce. With mouthwatering options like the mushroom and lentil burger, the chefs at The Grace Darling Hotel have made sure to take care of our vegetarian sisters and brothers. If you want to relax in gorgeous surroundings in the midst of a diverse crowd of people who appreciate great food, drink and dazzling music, head on over to The Grace Darling Hotel and absorb the fantastic vibe of the second oldest pub in the country's second largest city. Jumping on the number 86 Tram from Newmarket Station, it will drop you off right outside The Grace Darling Hotel at the Peel St/Smith St stop. From the Windsor station, you can catch the 246 bus. Get off at Langridge St/Hoddle St stop, and The Grace Darling Hotel is 13 minutes away by foot.